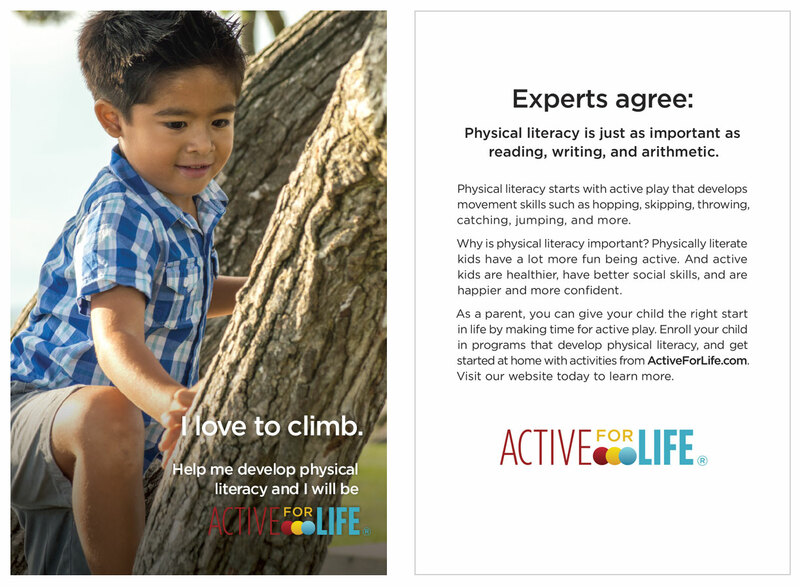 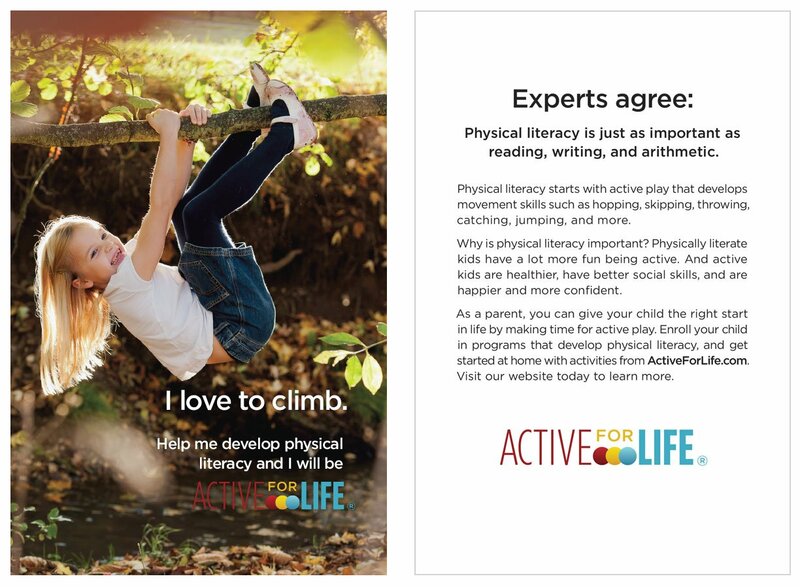 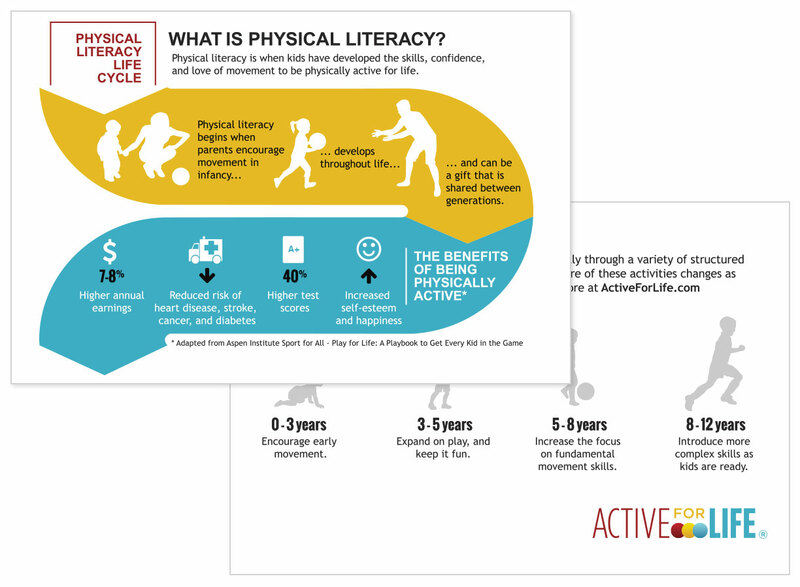 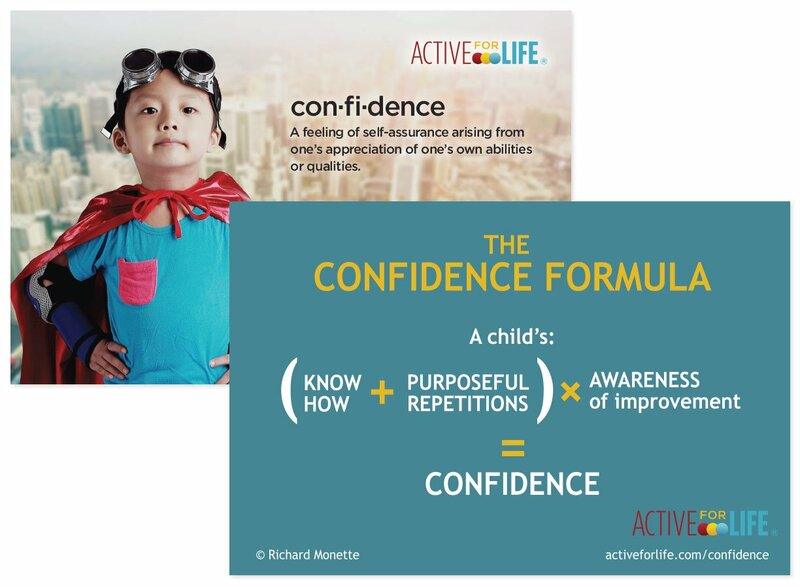 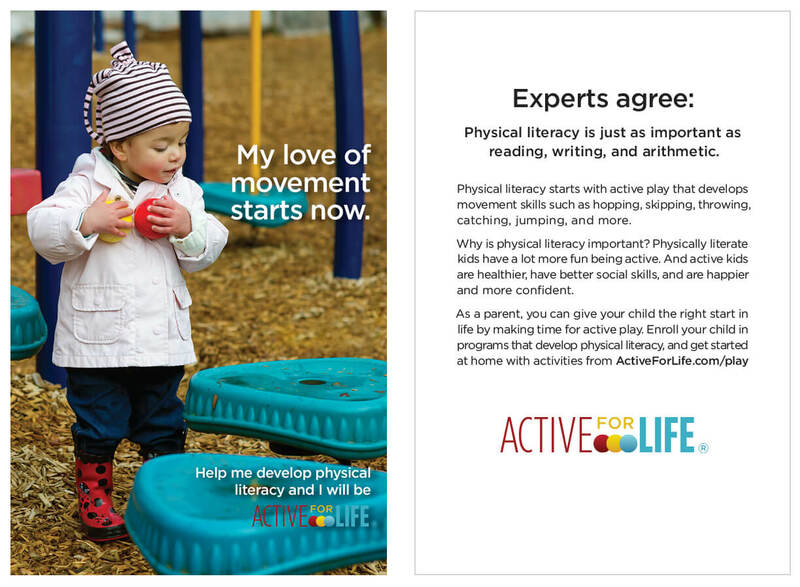 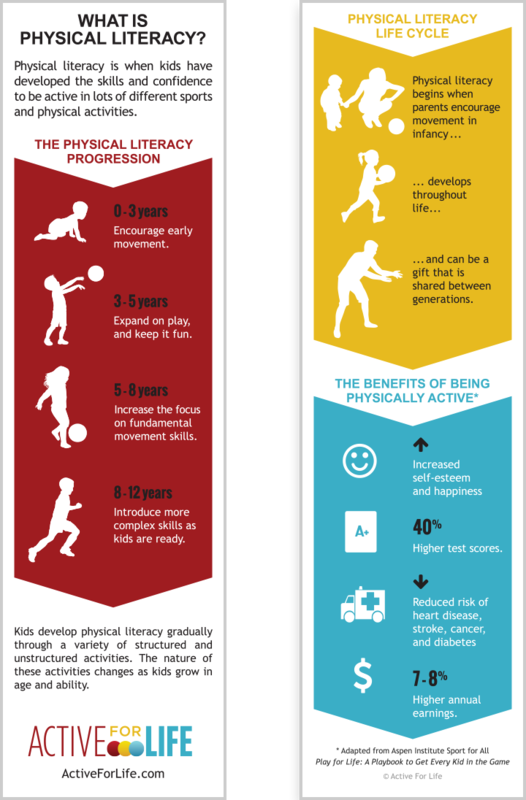 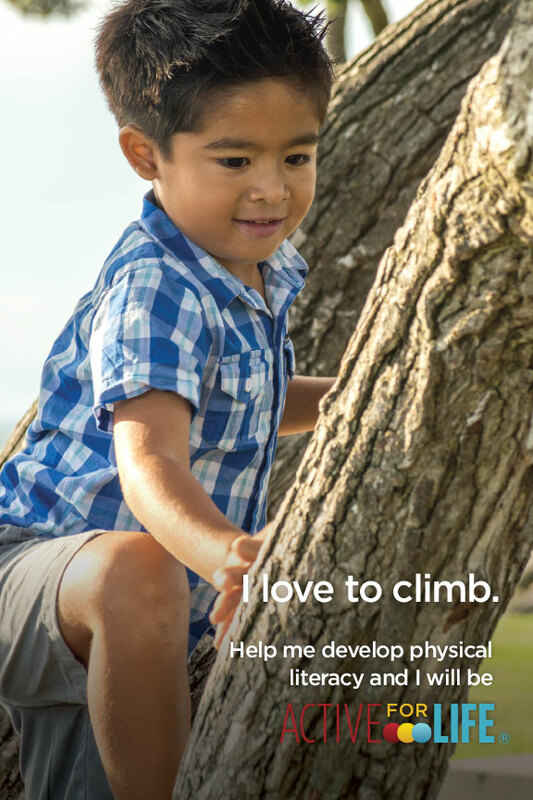 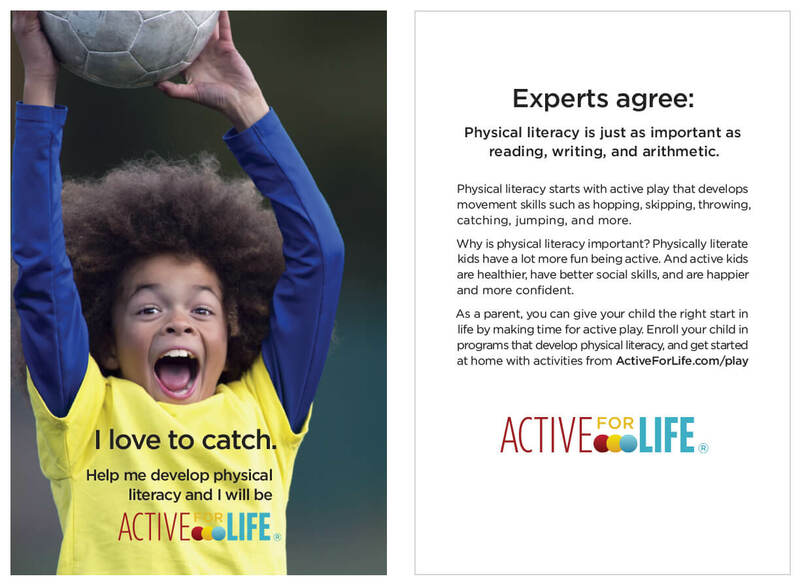 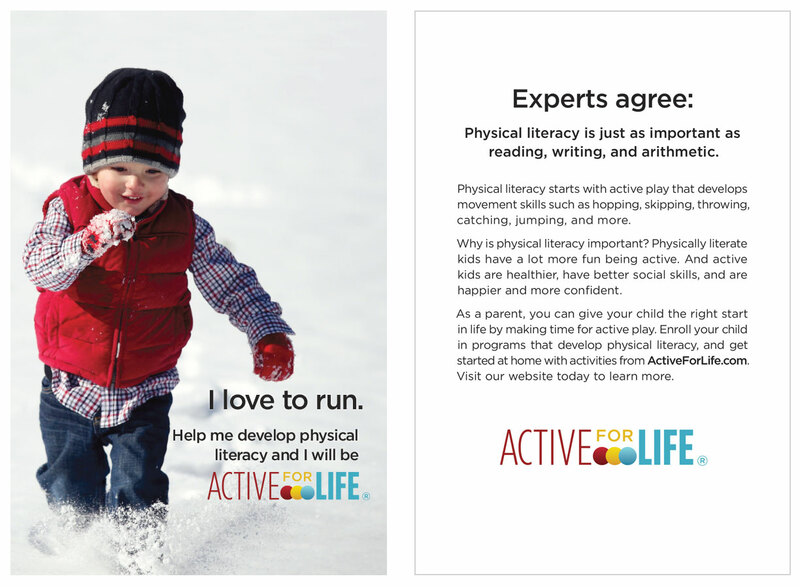 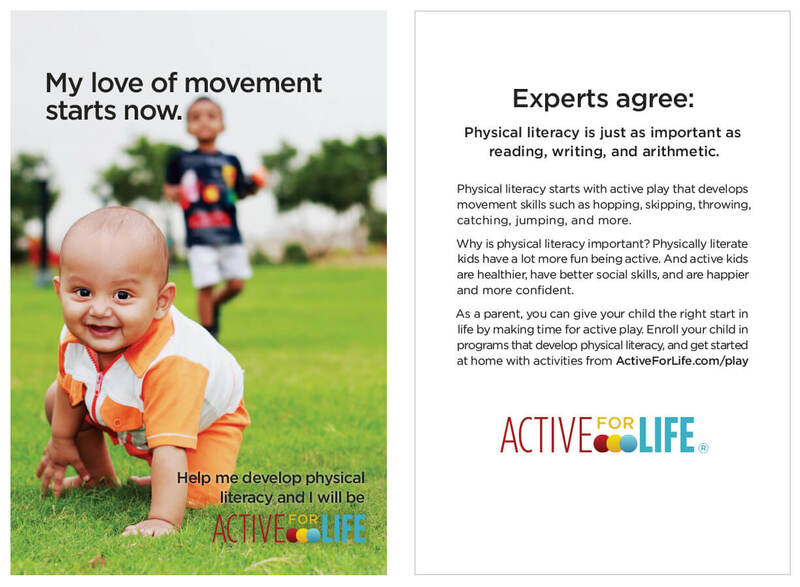 Active for Life can provide you with postcards that explain what physical literacy is and why it matters for kids. 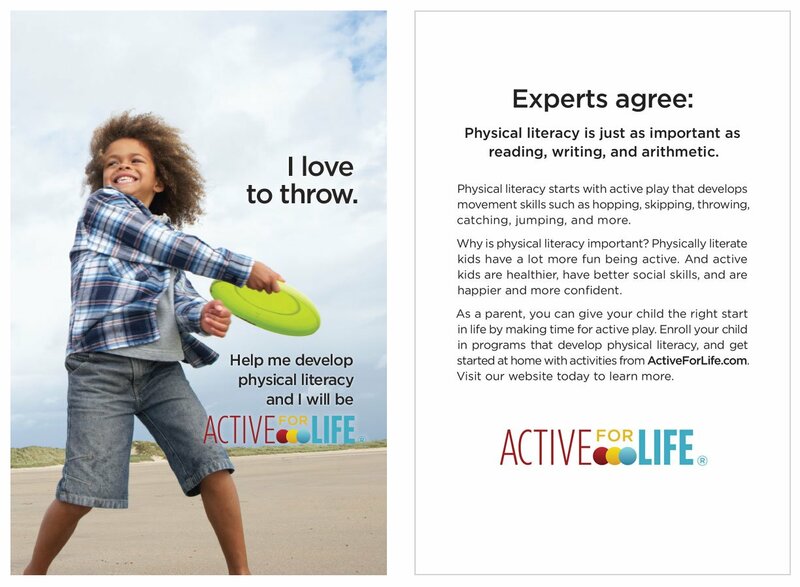 Parents love them! 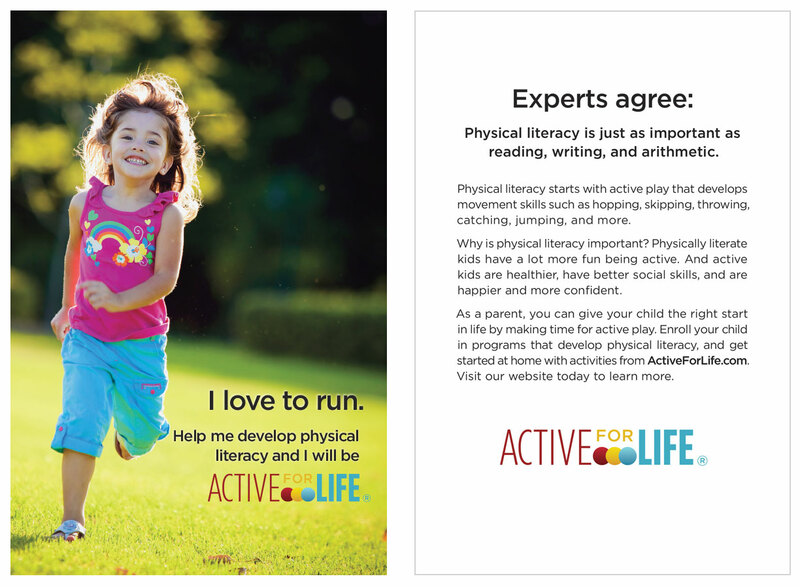 We design, print, and ship you the postcards (no cost to you) and you distribute them to parents. 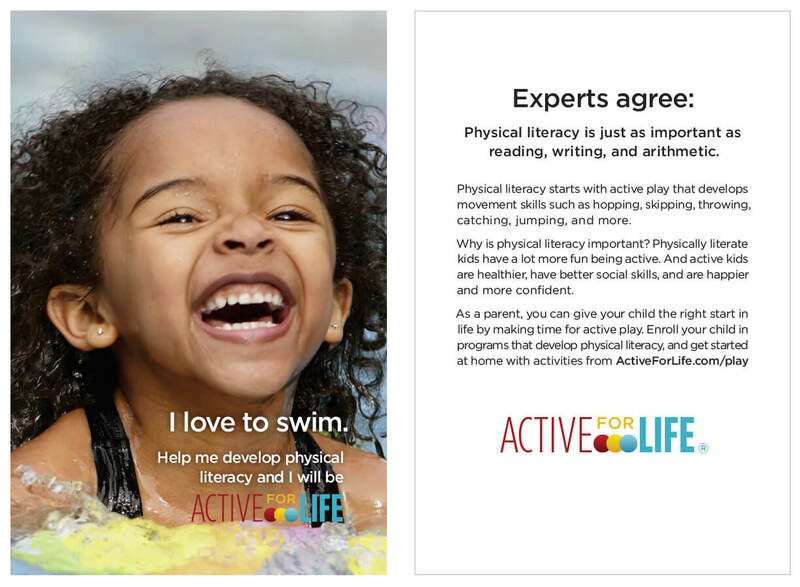 We’ll ship you as many generic postcards as you wish. If you commit to distributing more than 5000 postcards, we’ll create a postcard co-branded to your organization like this one. 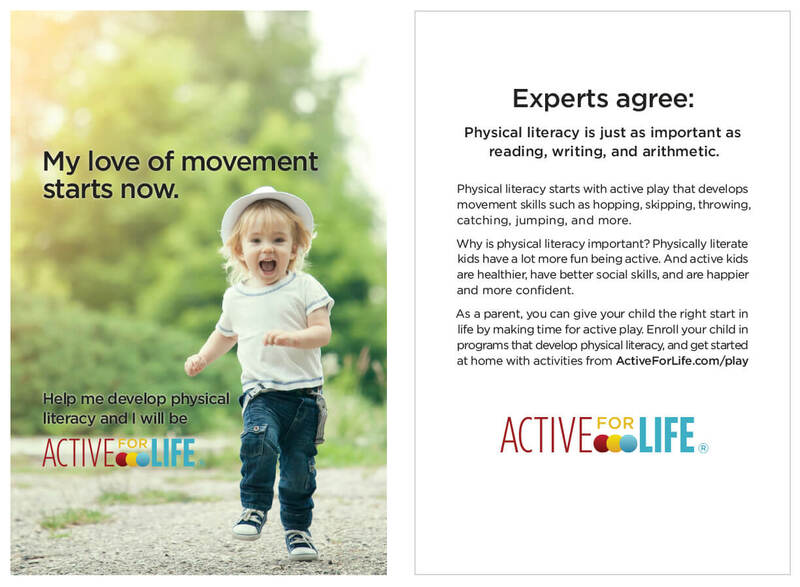 Adapted from our popular physical literacy infographic, these colourful eye-catching bookmarks will stick with your reading audiences. 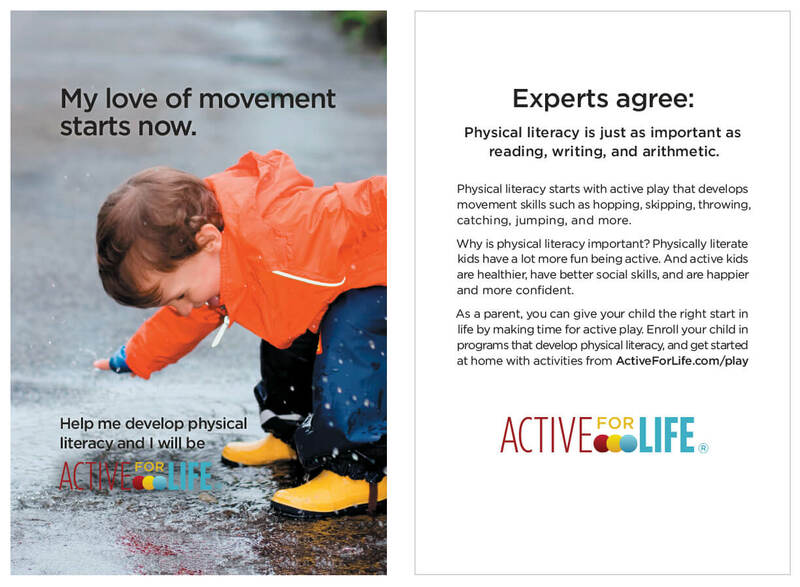 Every time one of your parents opens their favourite tome, they will be reminded that physical literacy is just as important for their kids as reading literacy. 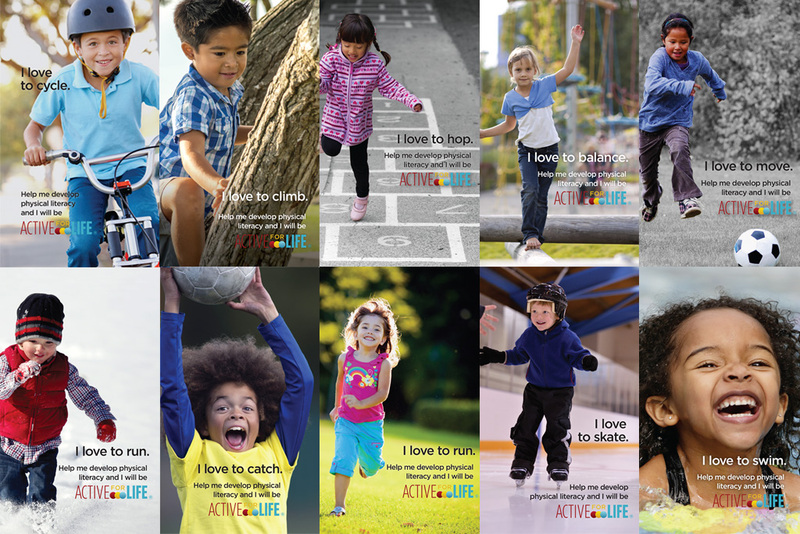 Note: As Active for Life is a privately funded Canadian initiative, we endeavour to fill the needs of Canadian organizations first. 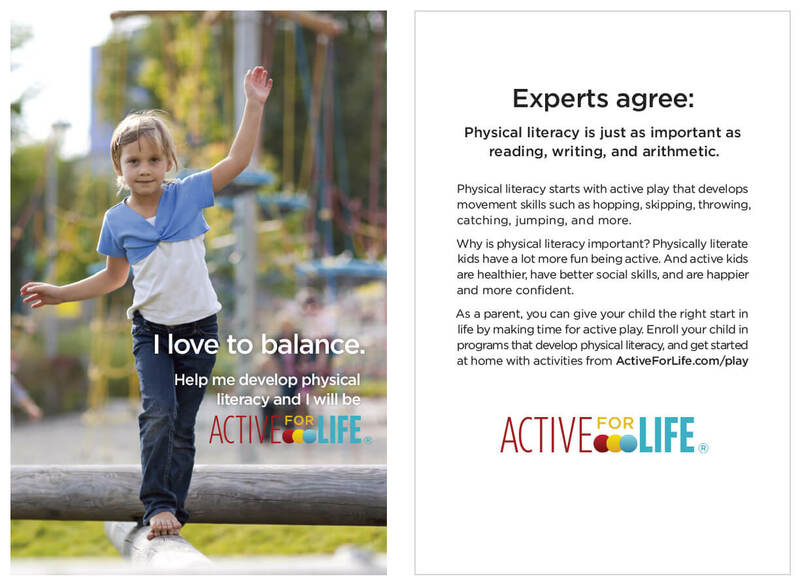 However, we will do our best to answer requests from outside Canada when possible. 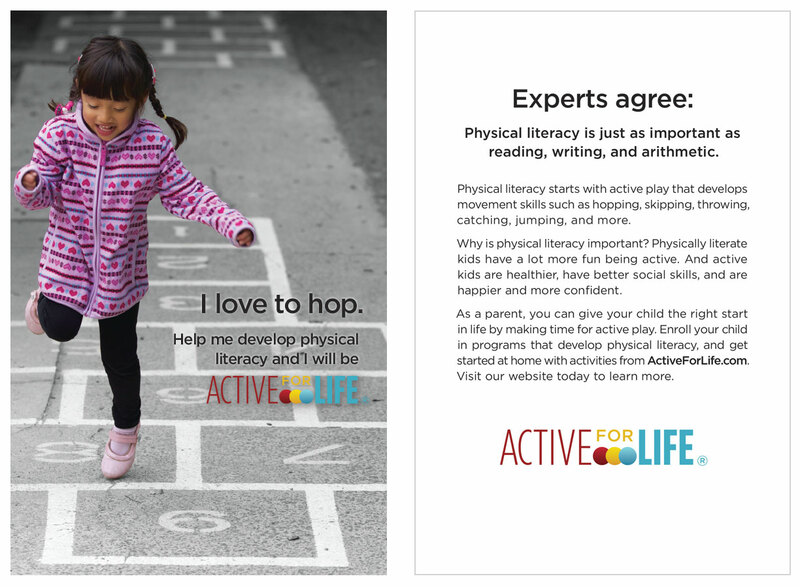 Follow us for industry specific, news, trends, tips, and best practices for professionals who work with groups of kids. 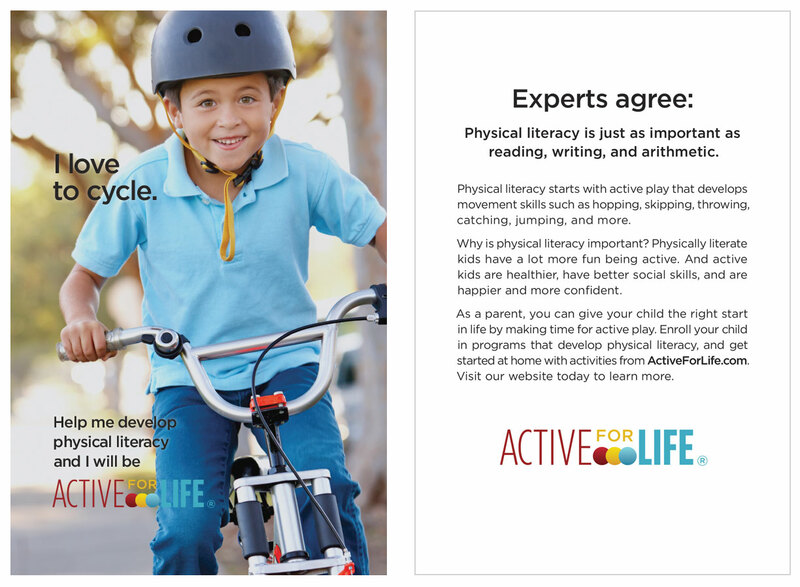 Lists of articles and resources on specific topics.